3M™ VHB™ Tape 4947F 3M 4947F | Fabrico, A Division of EIS, Inc.
3M™ VHB™ Tape 4947F is a conformable, double-sided, pressure-sensitive, closed-cell acrylic foam tape with a PE film liner. 45 mil thick. Bonds high and medium surface energy substrates. Provides handling convenience, cushioning, damping, and impact resistance. Plasticizer resistant. UL listing 746C. This is a black 45 mil acrylic foam tape. Application ideas include bonding muntin bars to windows, bond and seal polycarbonate lens over LCD, bond prepainted metals in truck assembly, bond and seal prepainted control panels/switch gears, and mount vinyl wiring ducts and conduit channels. 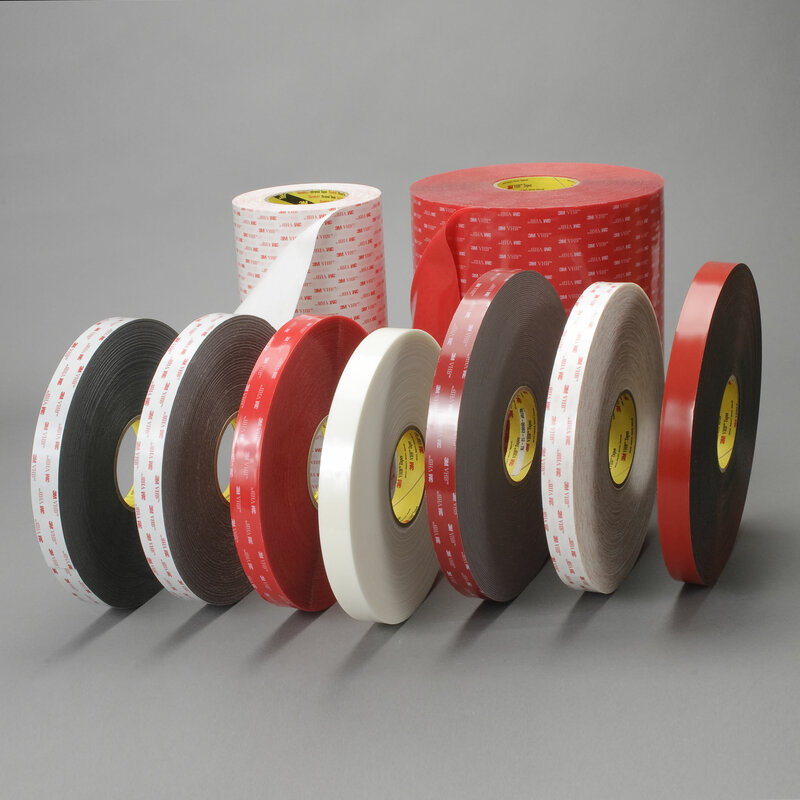 The adhesive provides excellent adhesion to a broad range of high and medium surface energy substrates including metals, glass, and a wide variety of plastics, as well as plasticized vinyl. 3M™ VHB™ Tape 4947F utilizes multi-purpose acrylic adhesive on both sides of a conformable adhesive foam core. The conformable adhesive foam core provides good contact, even with mismatched substrates. The combination of foam strength, conformability, and adhesion makes this 4941 family one of the most capable all-around 3M™ VHB™ tapes.